While the temperatures may not change a whole lot, the fall time does bring about some extra cleaning and sprucing up when it comes to your home. The all too present spider population of Florida likes to try and decorate your home for Halloween for you. They leave cobwebs all around and while Halloween is coming, you don’t want your home to be known as the “spooky” house. How can you get rid of those cobwebs, stains on your driveway, and make sure your pool enclosure is ready for fall? 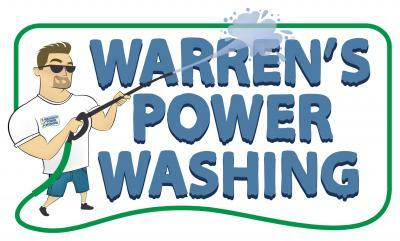 With Warren’s Power Washing, of course! Our team is expertly trained in the use of our low-pressure washing system that allows for pristine conditions without damaging your property. They have a system that not only gets your home cobweb free, but also makes sure that all your plant life, landscaping, and your home itself is protected during the process. Cobwebs can not only detract from your home’s appearance, but they can also be quite irritating when you walk into them as you are cleaning around the home. By having someone come in to pressure wash your home and remove the cobwebs, you can be assured your home is welcoming and reduce that nasty feeling of walking into those giant webs. They provide roof cleaning services that will make sure you get the maximum life out of your shingles. They can help clean your pool enclosure so that you do not lose your screen in the process, which can happen when others use high powered pressure washing services. You can rest easy knowing that your pool area will be nice and clean, the enclosure is protected and free of mildew, and your patio area is clean. Our team is ready to help you get the most out of your home this season. Allow our low-pressure washing experts to come to clean your home, driveway, roof, and pool enclosure to prepare for the busy holiday seasons. You’ll be glad you did when you see how clean, fresh, and inviting your home can be!